is more true for the web than any other format. 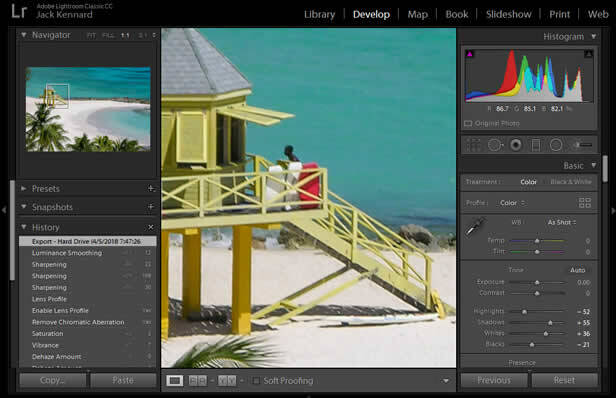 Optimize your images for search, to load fast, and for viewers. Why Use Images and Videos on Your Website? Some experts say you should use images because humans have a short attention span. I believe it’s because viewers want more information quickly and the right image can say more than what a viewer is willing to read. Like they say, an image is worth a 1000 words. Remember an image on your page can also be seen in social networks and in search engines. Also posts with videos and images earn more than three times the number of back links, an important search ranking factor. Images and Visual content leads to more page views. And more views means more leads. Make sure your images and videos relate to your content and are designed to work with different devices and platforms. Today more and more viewers are attracted to well crafted images even to the point of making purchasing decisions based on what they see. The uses of images on the web are endless. Your profile image is the first impression viewers will see and have of you. So your profile picture needs to be friendly and professional whether your a doctor, student or a travel agent. The major search engines are using their image search as a listing and advertising area for products. Also studies show that about 75% of retail business sales are influenced by attractive visuals (images). A well planed visual presentations of types of vacations, meeting and convention areas with descriptions invite contact and improves conversion rates. Food blogs have come a long way in the last 5 years and quality photos have been a big part of that. A well designed food images stirs our digestive juices and emotions. . Impressive image of a room, pool or dining area will motivate a potential traveler to make an informed decision. Whether you install pools, kitchens or plumbing, images can convey a beautiful expectation of someone’s home upgrade. More and more people are using social networks like Pinterest, Instagram and Twitter for sharing images and looking for common interests. Website visitors comprehend information better through visuals. And more people are starting to use image search to make decisions. 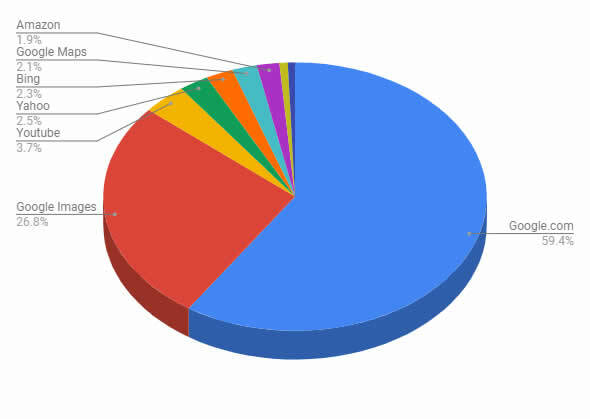 Google images is used over 25% of searches, far more than all the other search engines added together. Some SEO experts say voice is the next big thing, but right now image search is growing and the search engines are taking full advantage of it. If a home owner is going to replace a sink or cabinets they’re going to want to see the options. If a vacationer is going on a cruise, they are going to want to see the cabin options, not read about the dimensions or hear about the scenic view. They want to make an informed decision based on what they see. The same with a hotel or B&B as well. For home owners to find their next sink, kitchen cabinets or a vacationer to find their next hotel room they will compare shop and the best place to do that is in an image search. Just do an image search for watches or the next item you’re thinking of purchasing, you’ll see what looks like a an ecommerce site. That’s because the search engines want to be the place to shop. Image Optimization in SEO needs some effort. Part of the success of a web page depends heavily on images which re carefully planned to enhance the page topic.